* 1 clove of garlic, roughly chopped. * 50g bag of wild rocket. * 20g of fresh basil. * A whole small jar of capers, drained. * Juice of half a fresh lemon. * 3 tbsp of extra virgin olive oil. * Half a small bag of pine nuts. * 1 loaf of sourdough bread. * Two fresh tomatoes, sliced. 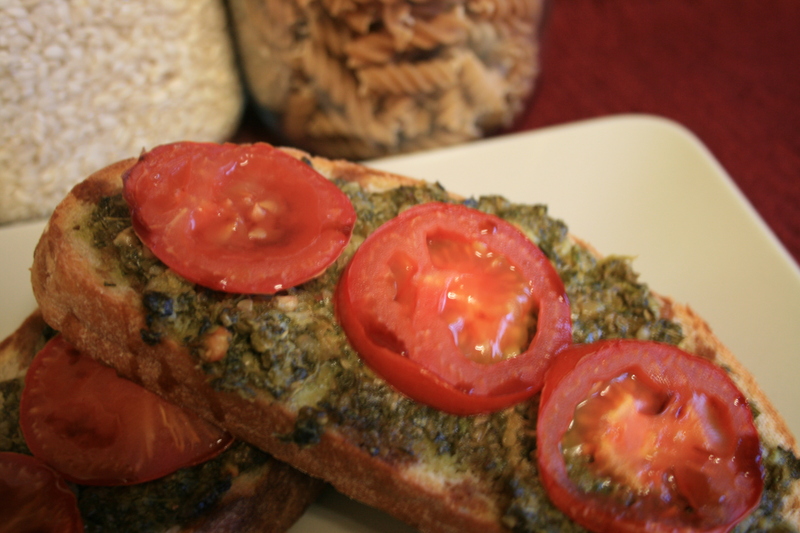 Put the garlic, rocket, basil leaves, capers, lemon juice and olive oil into a food processor and pulse blend until you have a chunky, bright green sauce. 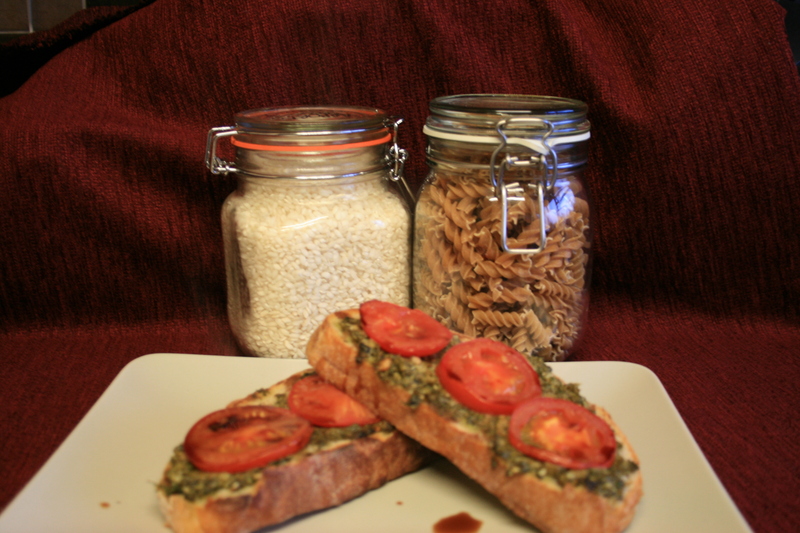 Stir the pine nuts through the sauce and give another quick pulse blend. Slice your sourdough loaf and toast under the grill or in the toaster. 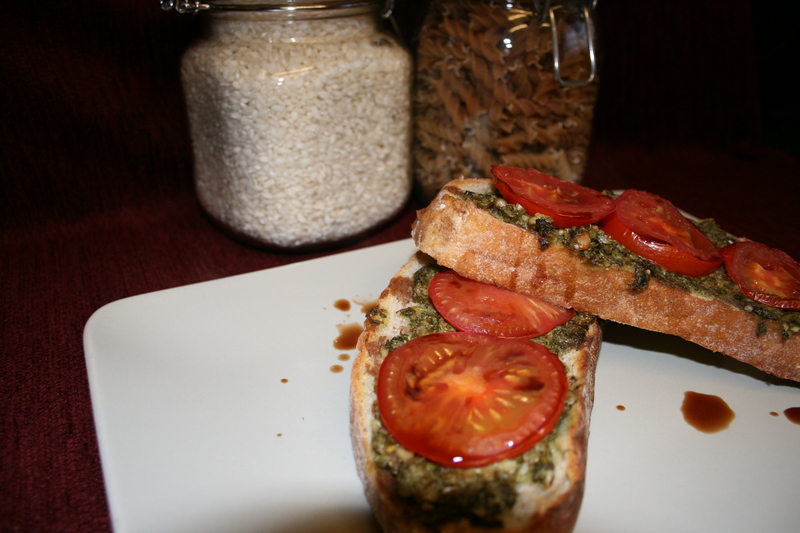 Spread your pesto salsa on your toast and top with fresh sliced tomatoes. 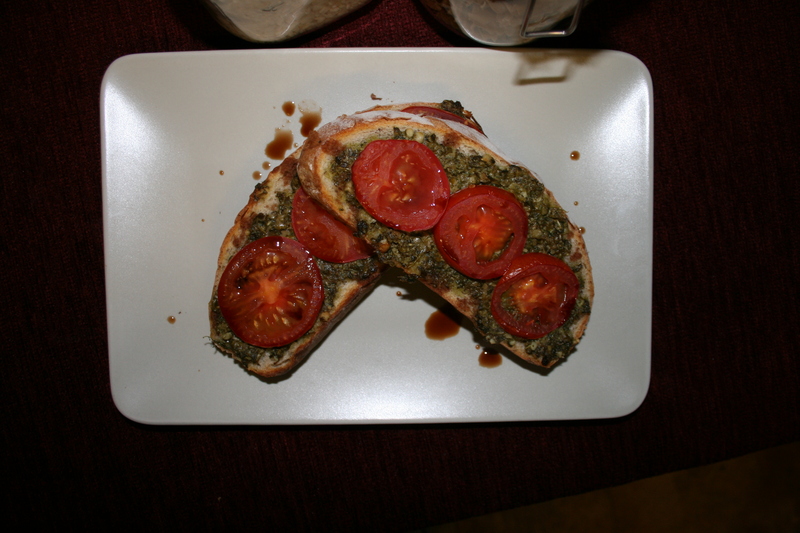 You can also add a dash of balsamic vinegar here for a little extra flavour. The original recipe suggests that per serving you’d be looking at 279 calories. Personally I’d guess that it was much less than that because I’ve not used any animal derived ingredients. This took approximately ten minutes to make and it will use the entire loaf.